SPECTA KRONOS 416 is a compact mobile mechanical and sealless tool. 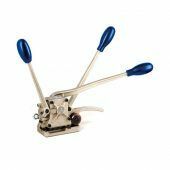 SPECTA KRONOS 421 is a mechanical sealless steel strapping tool, widely used in metalworking, woodworking and construction materials production. 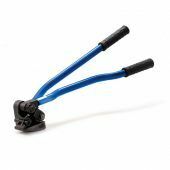 SPECTA KRONOS 425L is a mechanical tool intended for steel strapping of metal, wooden and brick products, concrete bricks, as well as pallets and cases. 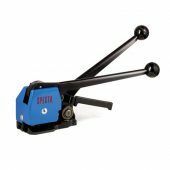 SPECTA KRONOS 425R is a mechanical tool for steel strapping of differently shaped and sized products: flat, round (at least 500 mm in diameter), curved and irregular. 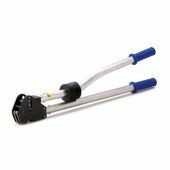 SPECTA KRONOS 431L is a mechanical tool for steel strapping of metal, wooden and brick products, concrete bricks, cases, palleted products etc. 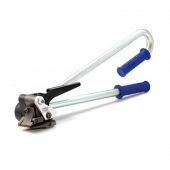 SPECTA KRONOS 451 is a light and compact mechanical sealless tool for steel strapping. 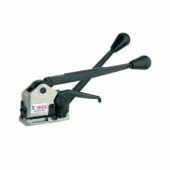 SPECTA KRONOS 490 is a mechanical tool for steel strapping of extra-heavy metal, wooden, concrete products etc. 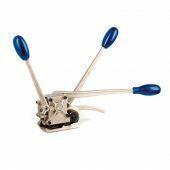 SPECTA GERKULES 310 tensioner is a mechanical compact tool for strapping of round and flat surface products. 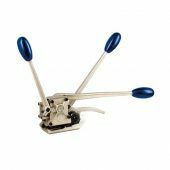 SPECTA GERKULES 321 tensioner is applied for transport product packaging in steel service centers, metal-working and engineering. SPECTA GEKTOR 330 Sealer is widely used in strapping metallurgy and metalworking for flat and round-surface products. 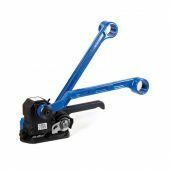 Pneumatic tools are suitable for heavy use in the steel and metals industries, metals processing and steel service centres, where durability and high speed are critical requirements. 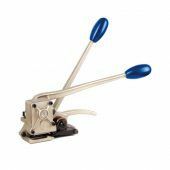 These strapping tools are suitable for the packaging of products with various shapes.